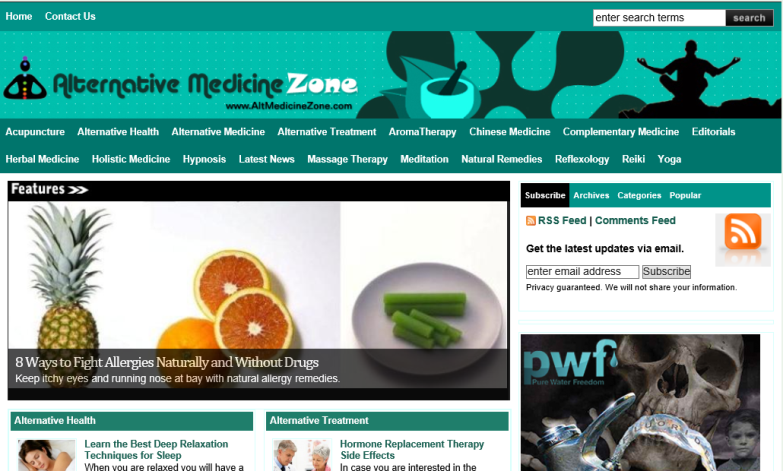 AltMedicineZone.com Information on herbal, chinese medicine, massage therapy, hypnosis and Natural Remedies. A blog offering expert advice on alternative medicine and treatment methods. Publishes information on alternative health, natural remedies, alternative therapies, massage therapy, acupuncture, hypnosis, yoga, holistic medicine, and more..